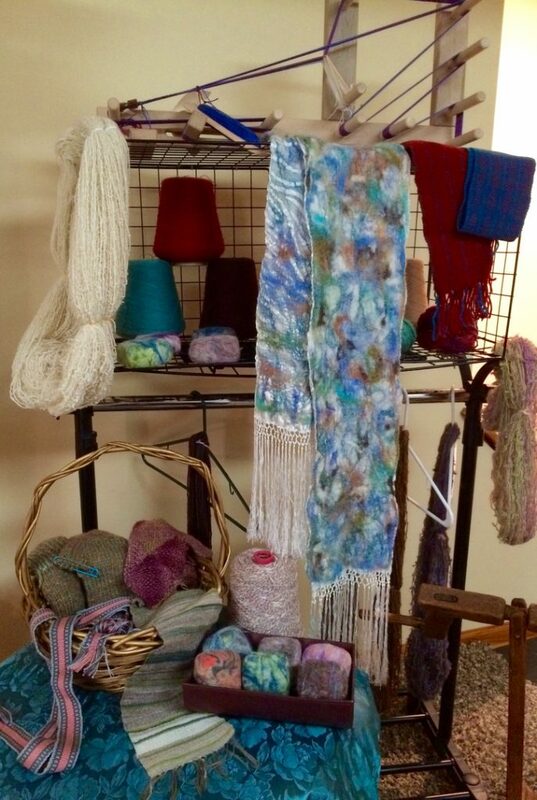 The foundation of Brenda’s handcrafted art is the fiber. Often acquired from small growers supporting good causes like the preservation of rare breeds. Many of the mixed-media pieces feature upcycled fabrics, repurposed yarns and objects of nature. Keepsake items, memory fabrics, photos and even fiber from a favorite pet can be utilized in a handspun yarn or finished work. Contact Us if you have a special project in mind. I hope you will feel as warm and fuzzy as an angora rabbit reading my Journal of Existence. We spin, therefore we are!